Solar energy is produced after capturing sun’s radiation. Solar energy is the cleanest, most abundant, renewable energy source available that shining across the earth. The current technologies allow capturing this energy in several ways and give flexibilities to employ both the heat and light of the sun for individual, public as well as commercial use. Generally solar heat is captured by an absorbent material - a black metal panel is the commonly used one. The heat is then transferred to pipes carrying warmed air or water. Alternatively, the sun's radiation may be centred on to one spot to heat up liquid in order to power a generator. The sun's radiation may be used also in solar cells which convert it into electricity. The main advantage of solar energy is that, to all intents and purposes, it is inexhaustible (Source: Oxford Dictionary of Geography). Solar energy technologies are broadly characterized as either passive solar or active solar technologies depending on the way they capture, convert and distribute the captured energy. 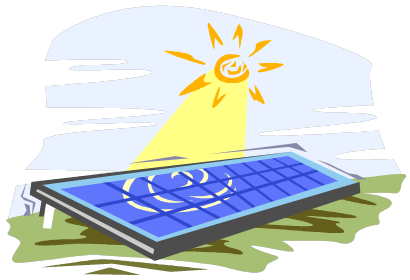 Active solar techniques include the use of photovoltaic panels and solar thermal collectors (usually plates, mirror or lenses based on applications) to harness the energy. Passive solar techniques include orienting a building to the Sun, selecting materials with favorable light dispersing properties, and designing spaces that has natural air circulation capacity. Solar power can be produce by converting sunlight to electricity. It can be done in two different ways. In the first method using photovoltaic (PV) panels’ sunlight light can be converted to electric current. 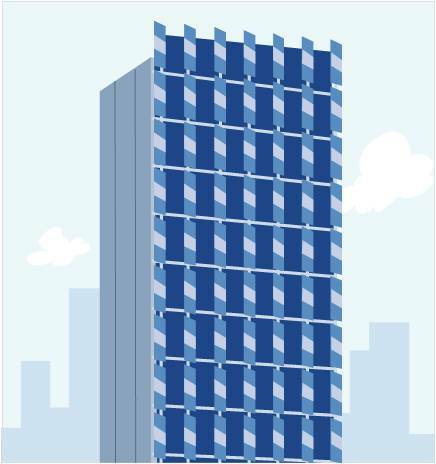 The panels are made of arrays of small modular unit know as solar cells or photovoltaic cells. These cells absorbed energy from sunlight to release electrons, which creates a flow to electricity. And in the second method concentrated solar power systems utilizing lenses, mirrors etc. large area of sunlight can be concentrated into a small beam. This concentrated light then captured as heat, which can drive heat engines such as steam turbine connected to an electrical power generator. 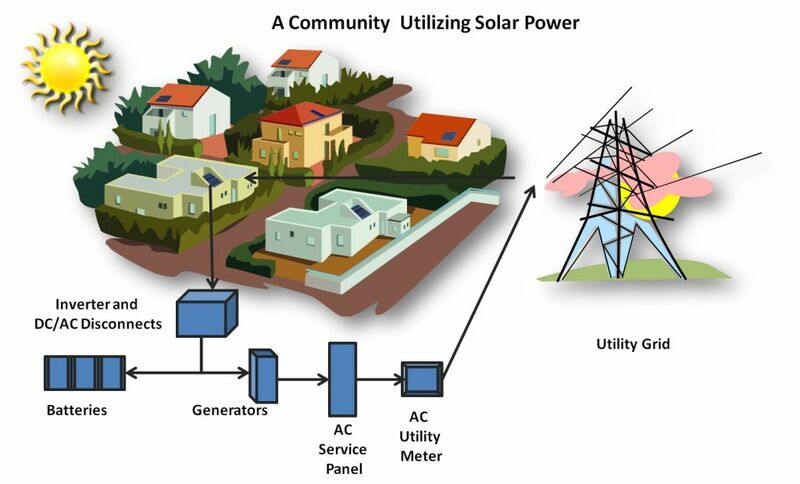 A simplified image below illustrated the concept of producing solar power from the sunlight. Sunlight can be captured to heat water and then that hot water can be used in hot water systems. The most common solar water heater systems used for domestic use are tube collectors and glazed flat plate collectors. Solar water heating can be used for heating swimming pool as well. 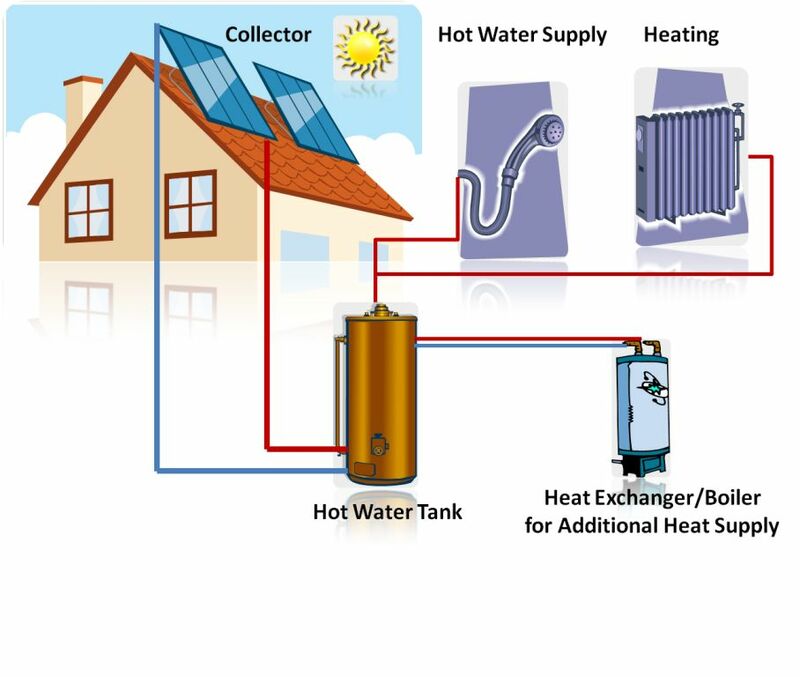 A simplified solar heating system for domestic use is shown in the illustration below. Using to provide process heat for commercial and industrial applications. Using at agricultural and horticultural sector to optimized the productivity of crops and plants. Green house is one such example that captures and converts solar light to heat that help year-round production of crop and plant.